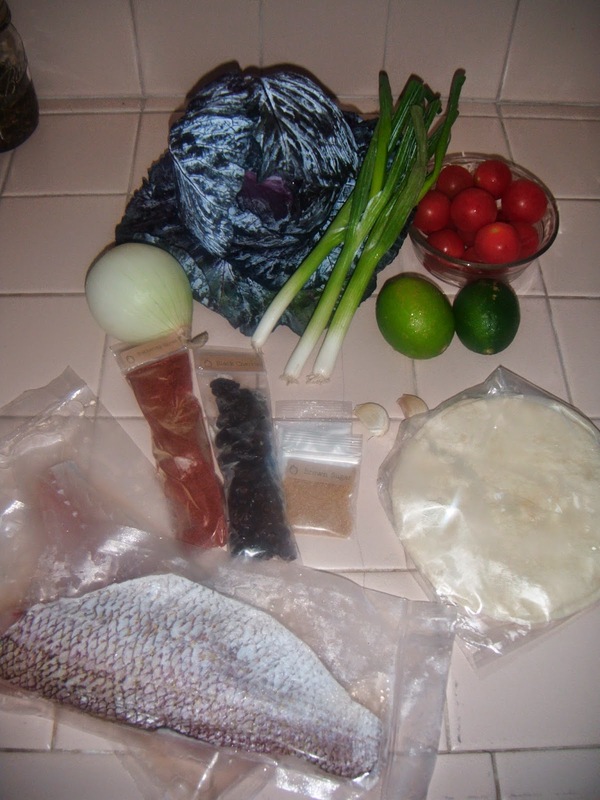 PeachDish sends you everything you need to make 2 fresh meals per week. You can get 2 meals for 2 people or 2 meals for 4 people. Subscriptions start at $50/week. They send all of the ingredients and full color recipes with step by step instructions on how to prepare your meals. You can order on a week-by-week basis after that week's menus are posted, that way you can decide if you want service each week based on your tastes and your schedule. I love that flexibility! The recipes aren't for boring old meals either, they are for tasty, gourmet cuisine that you can make at home no matter what your skill level in the kitchen! The ingredients are separated into bags based on which meal they belong too. The cold stuff is wrapped super well...the silver envelope contained the chicken, fish and dairy items. Easy peasy! 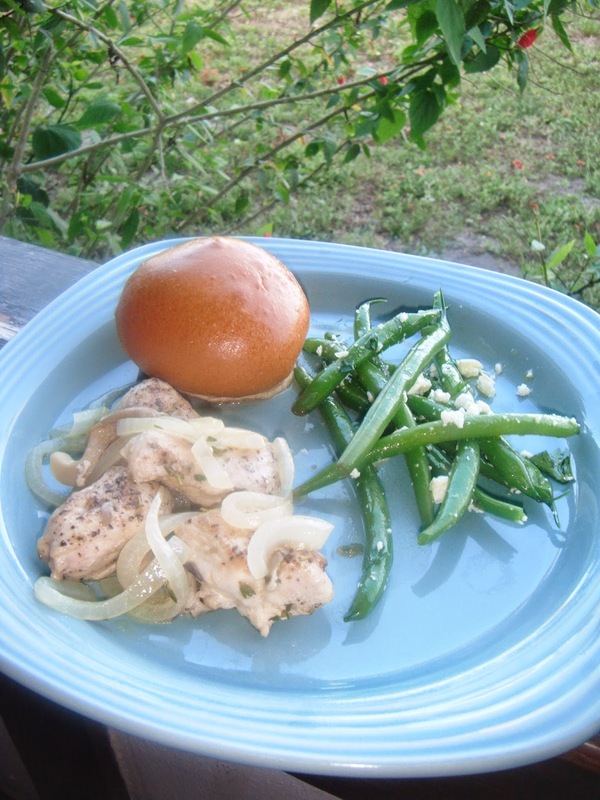 It was so easy to make two incredibly delicious meals with this service and the whole family loved both meals. Unfortunately, we weren't able to try the field peas. They had spoiled on the quick overnight trip to Texas. They are fairly delicate, so that's understandable, though we were bummed about missing out on such a delicious-sounding side dish. When I contacted PeachDish about the peas, they apologized and explained that the trip was probably just too hard on them. Since I am a reviewer, not a paying subscriber, I wasn't offered a refund or anything, but according to the PeachDish FAQ section, if you are not happy with your service you can get a full refund. All said and done, PeachDish is a pretty cool service, especially if you need a little motivation or inspiration in the kitchen. These meals are fresh and wholesome and the ever-changing PeachDish menu ensures that you will get to try out a lot of new foods as a subscriber. This service would be great for foodies or time-crunched families. ABCD Diaries gives PeachDish an A! Check out PeachDish to get started!